After an unseasonably warm autumn, the weather in Ottawa has turned bitterly cold in a hurry, but that’s not stopping a group of people from taking in an outdoor yoga session on the rooftop patio at the Andaz Hotel in the city’s iconic downtown ByWard Market. Dressed in heavy coats and mitts, they cluster around braziers built into the tabletops as a local instructor, Genevieve Munro, walks them through a meditative breathing exercise. I’m watching highlights of the activity on the hotel’s Instagram story from the warmth of my own house, five kilometres away, reflecting that if anything could make me want to abandon my hibernation and do something social, it’s the Andaz Ottawa ByWard Market, which since it opened at the end of summer in 2016 has quickly become one of my favourite hangouts in the city. I learned of the hotel’s existence on Instagram (noticing a trend?) when all of a sudden, early in 2017, my feed was filled with incredible photos of the Market from a vantage point I’d never seen: above. The posts were geotagged Copper Spirits and Sights, the name of the Andaz’s aforementioned rooftop lounge, and I knew I needed to visit right away. I did, and immediately fell in love with the hotel’s cool yet accessible vibe. Copper has everything you could want in a hotel bar: an extensive menu of handcrafted cocktails and elevated snacks, the kind of dim, diffuse lighting in which everyone looks young and attractive, and, of course, a view of Ottawa that makes you feel like you own the city. I wanted to know if the rest of the hotel would give me the same VIP feeling, so the week before my Instagram-yoga-induced bout of FOMO (fear of missing out, in Internet parlance), my husband and I topped up our cats’ food bowls, drove downtown and checked in for a two-night stay. The concierge may have been warned in advance that I work for a magazine with “geography” in its name because, even before he’d handed us our complimentary welcome glasses of white wine, he proudly informed me that throughout the hotel, I would find all kinds of touches inspired by and intended to convey a sense of place both local and national in scale. Each of the hotel’s guest floors is assigned a Canadian province or territory (we stayed on the Northwest Territories floor), which is reflected in the artwork in the hallways. The decorative latticework on the ceiling and part of the wall in the ground-floor restaurant, feast + revel, is meant to evoke the patchwork appearance of Prairie farmsteads from the air. 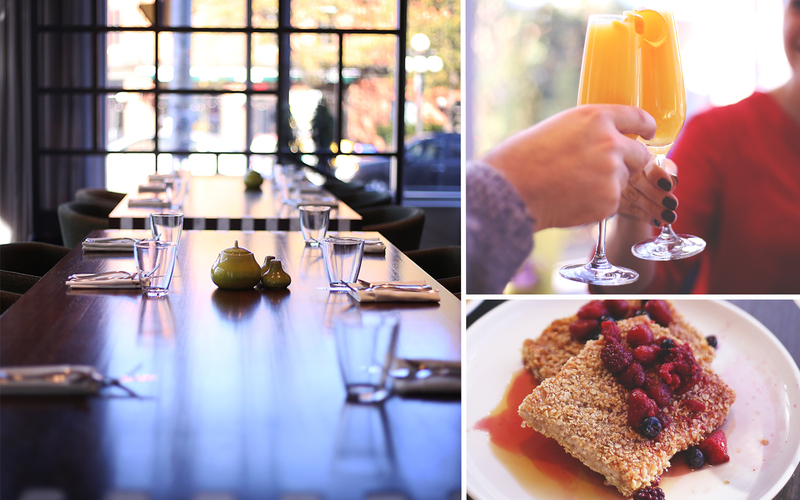 (The menu, too, is full of not-to-be-missed twists on Canadian classics; see sidebar, below.) The light fixtures in the lobby meeting area are handcrafted from different types of wood native to Canada. Copper Spirits and Sights is named for the iconic rooftops of the Parliament buildings, which are visible from the bar, and the guest rooms contain copper finishes. The in-room mini bars are stocked with made-in-Ontario products such as Hummingbird Chocolate from Almonte and Dillon’s gin from Beamsville. All of this was by design, general manager Matthew Graham tells me a couple of days later as we sip coffee at feast + revel and I confess that I’ve had a great time hunting for these geographical Easter eggs. Andaz is a Hyatt brand, but each of its 17 locations worldwide has a unique look and feel intended to reflect its surroundings. Since the ByWard Market location is the first Andaz in Canada, the designers — Toronto-based Mason Studio — wanted the hotel to tell the story of the capital as a meeting place for Canadians. “This is a place we all go to at least once, and it’s the place we send the people who represent us, and so to have the provinces and territories represented with the art on the floors, and to have the design be reflective of the landscape, was an important part of being this hotel,” Graham says. Andaz also wanted the hotel to be a place for the community to come together, and for guests to be able to experience something of the local culture — hence the rooftop yoga sessions, a monthly “Beats and Brunch” cocktail party, and an ongoing salon series that invites a notable Ottawa creative to share their work in an intimate setting. 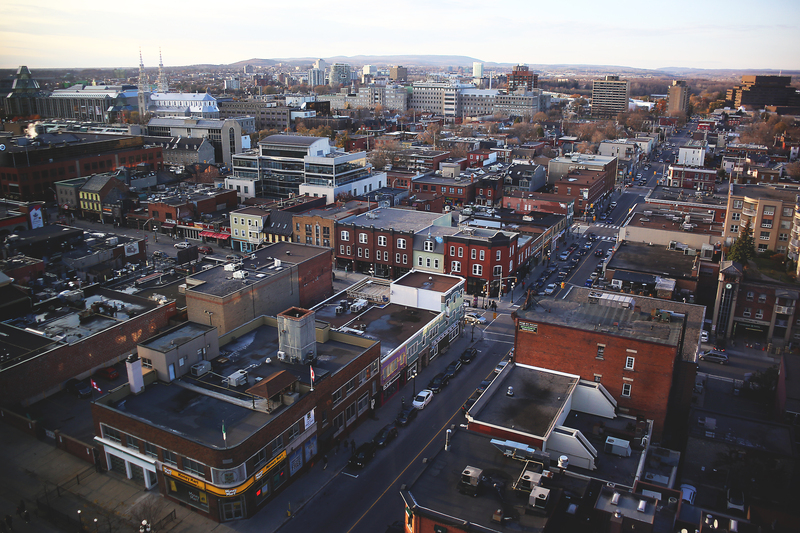 When asked for recommendations for places to eat or attractions to visit, employees are encouraged to be genuine and share what actually excites them about Ottawa. “At the end of the day, we should be providing a luxurious experience in a very comfortable, approachable way, and hopefully we do that in an environment that celebrates Ottawa, with a team that is passionate about the city and is open to sharing that with the people who come through the front door,” Graham says. Hearing that, I realize why I personally connect with the Andaz experience. I moved around Canada a lot before settling in Ottawa, and this was the first city that felt like home from day one, perhaps because it embodies elements of the five cities I lived in before this one, and on any given day I’m liable to meet someone who hails from those places but has business in the capital, kicking off another spirited round of “Do you know so-and-so?” The Andaz is a microcosm of that broader capital context — a place where you’ll never be homesick because it feels familiar. Like many Canadians, I love me some fries smothered in gravy and ooey-gooey cheese curds, so imagine my surprise when I ordered the lamb poutine at feast + revel, the Andaz Ottawa ByWard Market’s signature restaurant, and was presented with the tidy, dignified creation pictured above. 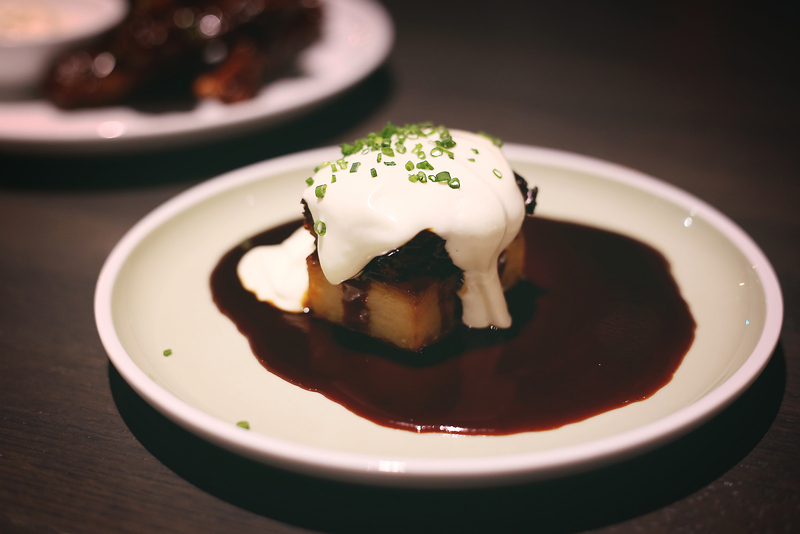 Executive chef Stephen La Salle has concocted a reconstructed twist on the late-night favourite: a slab of perfectly tender Yukon gold potato topped with braised Ontario lamb shoulder, rosemary jus and whipped curd. 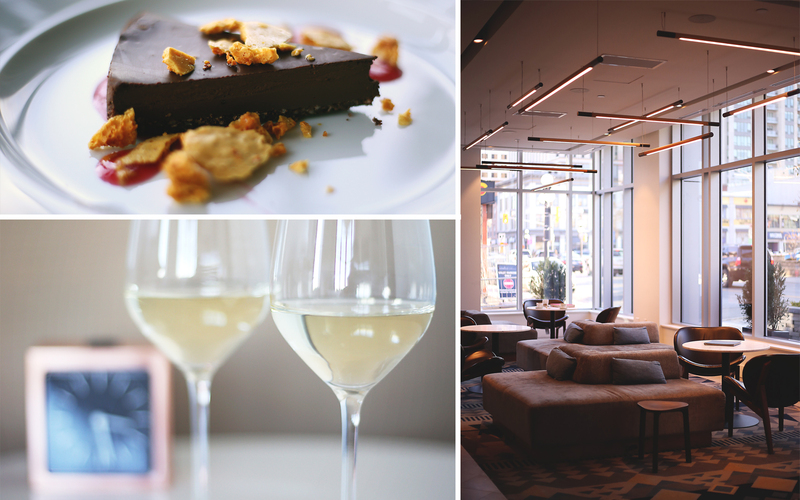 It’s a melt-in-your-mouth combo that emblematizes feast + revel’s fresh take on traditional Canuck cuisine. Locally sourced ingredients take centre stage in dishes such as Arctic char with sweet and tangy coho salmon nduja and warm bean salad, and pork shoulder confit with brown sugar glaze on a bed of farro. 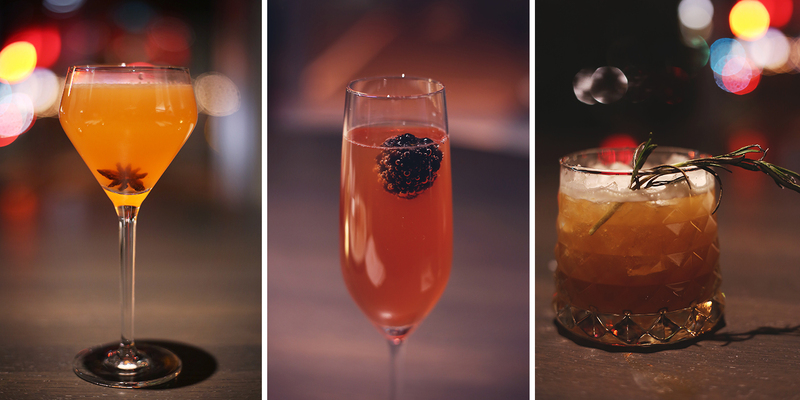 For the perfect drink pairing, try a handcrafted cocktail such as the Quebec 75 (feast + revel’s version of a French 75) made with Ungava gin, St-Germain elderflower liqueur, grapefruit and rose sparkling wine, or the whiskey-based Rusty Skate, which comes garnished with a sprig of toasted rosemary.